In the “food” domain, this idea of conditioning also applies. Billions of dollars have (and are continually) being spent – by the meat and dairy industry. Through commercials, ads, fashion, and social media- we are not only conditioned to consume & wear animals, but we are given a “pass” on any guilt that may be associated with taking the life of a sentient being. It’s through social conditioning that we now look at cows as “patties”, chickens as “cutlets”, fish as “fillets”. We are what we eat, only after we have been conditioned on whom to eat. 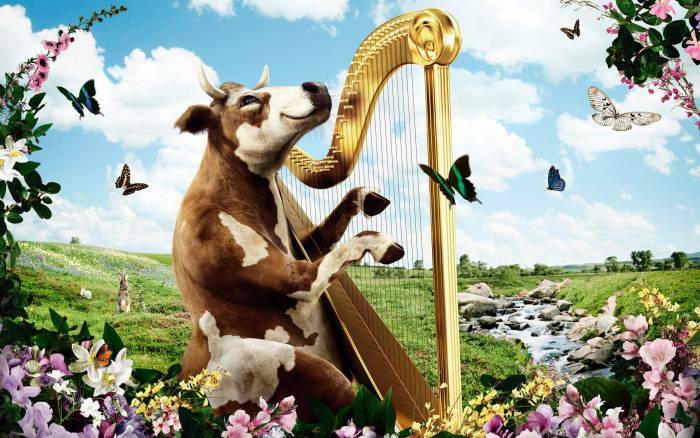 Our childhood memories illuminate visions of happy cows grazing in fields, cute little chickens perched on fence posts, piggy’s gleefully rolling around in puddles of mud. But what we don’t see, nor remember being taught, is the horrid reality. 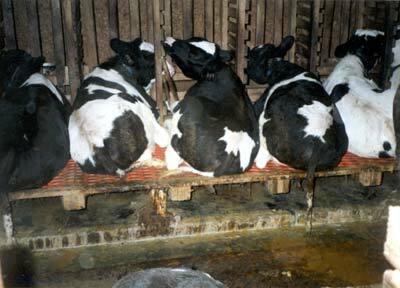 Animals that are raised for food are killed as babies- hens at six weeks old, pigs at six months, and cows at 5 years. They live an existence solely based on violence. 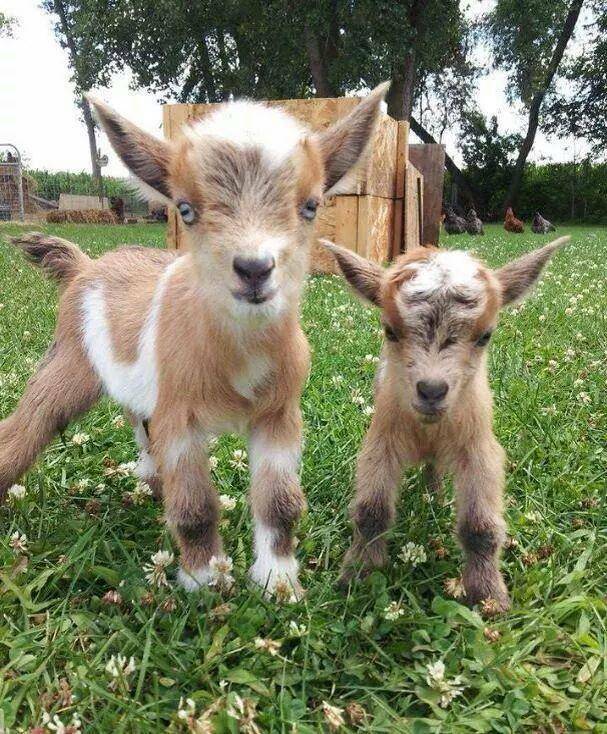 They neither are happy, nor healthy- only unrecognizable ghosts of a phony utopia. But this is the mechanism of social conditioning- it is the repetition of the same principle and message. We’ve all heard it- and it’s now ingrained in our psyche. The problem with this kind of social conditioning is that it herds people into beliefs, emotional reactions and responses- without having any form of practical or logical evidence to support it. We actually get upset when these views are questioned- and we feel it’s our “right” in engage in those behaviors – social conditioning at its worst. Social and Cultural conditioning of milk consumption has been around for thousands of years- and it still is going on strong today. What if I told you that many scientific studies have linked milk consumption to an assortment of detrimental health issues? Milk is an animal protein, and although it does contain calcium, milk acidifies the body’s pH level, that triggers an acid neutralizer. Guess what that neutralizer is? Calcium. And guess where that calcium comes from? That’s right, your very own bones. SO, the calcium that keeps our bones strong is the very same calcium that is used to neutralize the acidifying effect of milk. How ironic! “The countries with the highest rates of osteoporosis are the ones where people drink the most milk and have the most calcium in their diets. The connection between calcium consumption and bone health is actually very weak, and the connection between dairy consumption and bone health is almost nonexistent.” -stated by Amy Lanou Ph.D., nutrition director for the Physicians Committee for Responsible Medicine in Washington, D.C. Cows are happy to give milk! Come on, they are just COWS!! 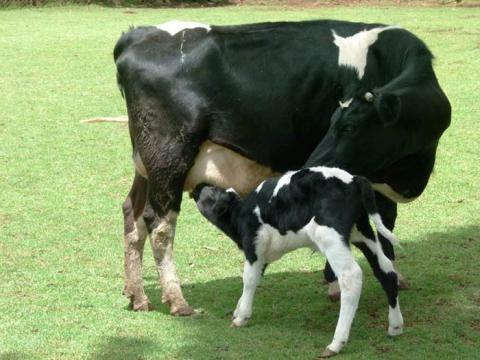 To produce milk, cows have to be pregnant- and give birth. The newborn baby calf is taken away within hours of being born- female calves are then raised become dairy cows like their mothers, whilst the male calves go to veal farms, to be slaughtered at 16-30 weeks of age. 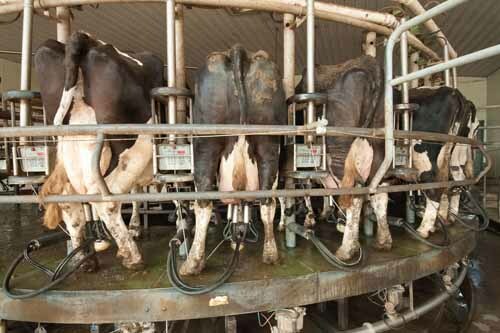 In the dairy industry, a cow’s lifespan is 5 years- after being consistently impregnated and used for her milk. As stated above, milk DOES NOT do the body good. Why not try getting your calcium from plants? Animals get their calcium by consuming calcium-rich plants. So even though we are all conditioned to believe that calcium comes from milk and dairy products, the real source of calcium richness is the earth. Research has shown that cows clearly understand cause-and-effect relationships—a sure sign of advanced cognitive abilities. For example, cows can learn how to push a lever to operate a drinking fountain when they’re thirsty or to press a button with their heads to release grain when they’re hungry.Researchers have found that not only can cows figure out problems, they also, like humans, enjoy the intellectual challenge and get excited when they find a solution. 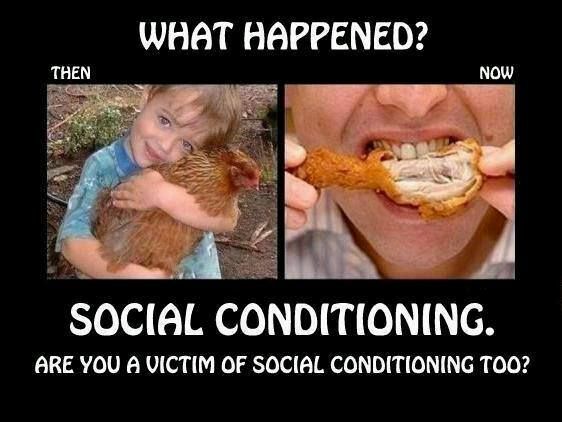 Social conditioning has many problems- but how do we unlearn our social & cultural conditioning? So often we are conditioned to keep our perspective – moderate, to say the least. Our minds compressed between time and space, and our bodies bound to materialistic addictions. Social conditioning has no line, and the manipulation is constant. You turn on the T.V., open your FaceBook, pass by a billboard- subconsciously you are engaging in the socially conditioned paradigm. Awakening yourself and reversing social conditioning happens only when you decide to “step out of the box”. Maybe one day you’re eating burger, and then it dawns on you that you’re eating a “who”, a face, a soul of a helpless creature that had to suffer and die for 5 minutes of your pleasure. It only takes a crack to let the light of compassion flood through, seeping into your awareness and consciousness. 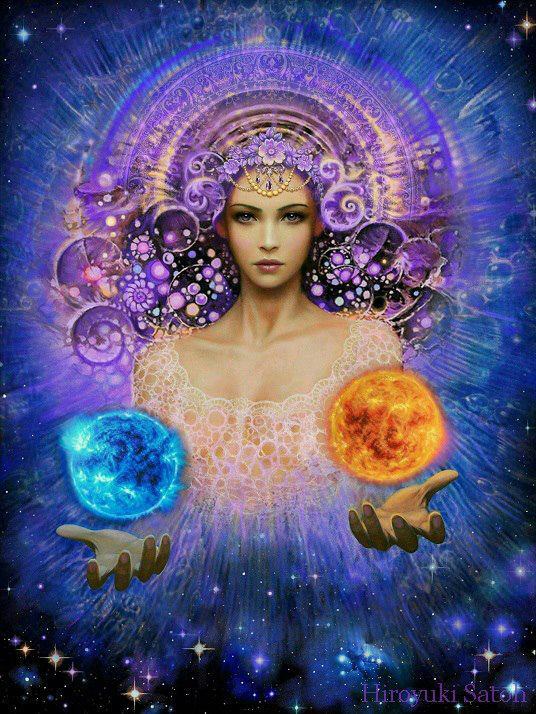 The process of gaining a more cosmic or universal perspective is different for everyone. 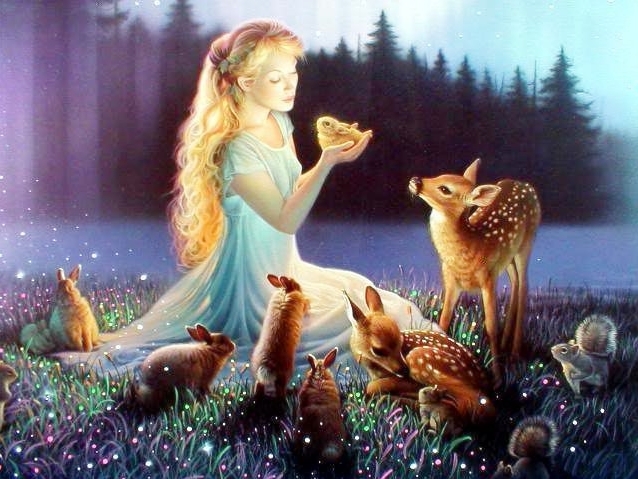 Many people find an awakening and reversal of social conditioning, by meditation. Being alone, and isolated, you may be able to confront and pinpoint areas in your life that have been tainted by social conditioning. “Do I really want this, or have I been conditioned to want this”? Whenever people say “We mustn’t be sentimental,” you can take it they are about to do something cruel. And if they add “We must be realistic,” they mean they are going to make money out of it.